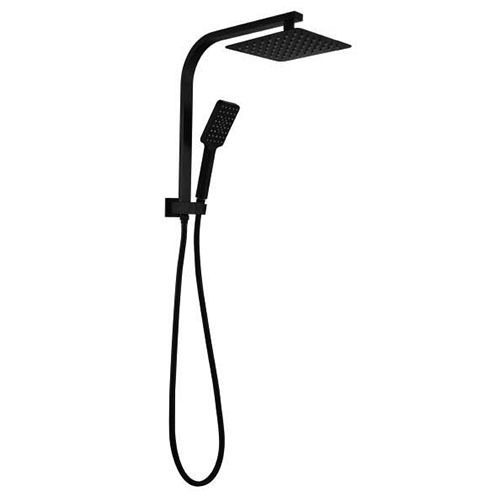 The Black Liberty Twin Shower is a sleek, bold and elegant twin shower set which is best suited for modern bathroom designs. 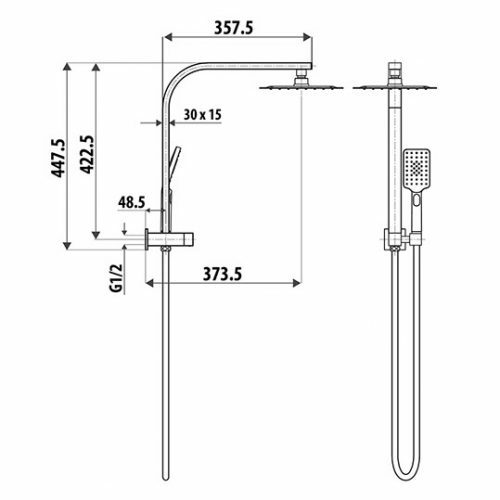 Equipped with a three-function handpiece and an overhead rainfall showerhead, it will add both style and functionality to any bathroom. The Black Liberty Twin Shower offers an impressive water flow rate of 8.5 litres per minute and holds a 3-star WELS rating. 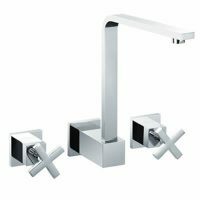 Add contemporary style and luxury to your bathroom with this twin shower set and its range of matching accessories and mixers. It includes a diverter that switches between the hand shower and bush shower and a slimline shower head. 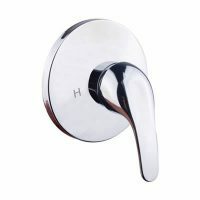 This product is designed to perfection and offers easy installation without any drilling. Experience the very best in quality with the Black Liberty Twin Shower. It features superior artistry and durable construction. For contemporary twin showers set in Perth, choose the Black Liberty Twin Shower at Ross’s Discount Home Centre. Shop from us online to purchase this trendy twin shower set at an incredibly competitive price and take advantage of our free delivery across Perth Metro!